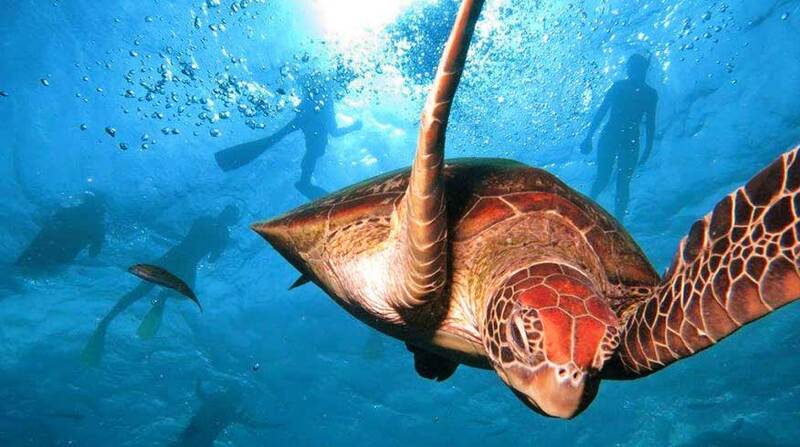 Snorkeling with sea turtle agincourt reef Australia. Cairns is the closest city to the Great Barrier Reef on the entire East Coast of Australia. With this in mind, there are 39 different Cairns tours that visit the Great Barrier Reef and surrounding World Heritage listed Rainforests. Choose from relaxing scenic day tours to Kuranda village, guided walking tours that take you deep into the Daintree Rainforest. There are day tours for snorkeling and scuba diving on the Great Barrier Reef. Island tours for relaxing and soaking up the sunshine on the white sandy beaches. There are pontoon tours that include many activities to keep the children and parents entertained, water slides, glass bottom boats, semi-submarines, underwater observatories, snorkeling and scuba diving. There are skydiving tours, white water rafting and hot air ballooning tours for the thrill seekers. The ultimate holiday adventure. Try tandem skydiving Cairns at 14,000ft. Amazing scenic views! 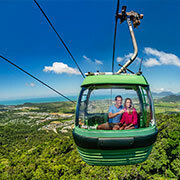 Enjoy a relaxed scenic day trip to Kuranda village by scenic train and Skyrail Rainforest Cableway. Spend a day in the Worlds oldest living Rainforest. Includes Daintree river crocodile cruise, and more. Spend a day on the Atherton Tablelands spotting Platypus, Waterfalls and Paronella Park. Spectacular sunset and evening seafood buffet dinner cruise. Departs at 6:30pm/Returns 9pm. Try the top 2 things to do in Cairns. Below are a handful of our top selling tour packages. Looking for more options? 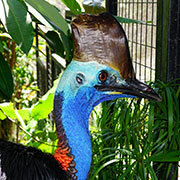 Visit our Cairns Tour Packages page for a larger range of 2-Day and 3-Day Tour Packages. Ocean Spirit Cruises operate a luxury sailing catamaran to beautiful Michaelmas Cay. Visit Green Island, day trips include snorkel gear or glass bottom boat. Great for families and relaxing. Visit Green Island, and the Outer Barrier Reef all in the one day. 2-hrs at Green Island, 3-hrs at Reef! The only boat in Cairns to visit 3 outer reef sites in the one day! Includes all snorkel gear! 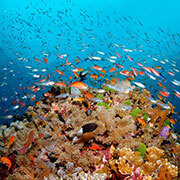 Tusa Dive operate a high-quality day tour to the reef. A highly experienced crew, great diving. Quicksilver operate luxury day cruises to the very outer barrier reef systems. Reef Magic Cruises are a local family run pontoon. Beautiful snorkeling for families.